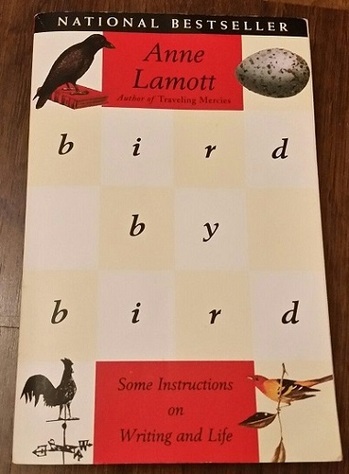 Author: Anne Lamott; Format: Paperback; Publisher: Anchor Books; Release Date: Oct 1995; List Price: $12.95; ISBN: 0385480016; Length: 238 pages. Condition: Good. Cover has a large crease on front but is still in overall good shape. Binding is strong. About 1/3 of pages have ink underlining. Same cover design as that shown here. A smart, funny, comforting approach to the difficult craft of writing and the challenges of living the writer's life. Priority Mail delivery for this item costs $7.00 at the request of a buyer. Otherwise, the shipping rate given here applies to orders shipped either First Class or Media Mail (depending on product type and package size) within the U.S. and to Canada only. Orders consisting of multiple purchases packaged together ship by any of these delivery methods at a discounted rate, usually for only $1.00 per additional item plus the shipping fee for the first item (determined to be the one with the highest delivery charge). International buyers: please contact us with your destination country for applicable base shipping rates. Multiple purchases that are packaged together save shipping costs for you, too!